Do you want to own a functional recording tool to capture any activities from your desktop screen? Supposed you are a music enthusiast, you listen to euphonic background music when watch an attractive online YouTube video and would love to save it into your own mobile phone so that you can enjoy it at any time. Then here comes the problem, that is, how you can keep it without damaging original music quality and play it on your device? At this moment, you are certain to look for different practical ways to solve this problem. Among them, one of the most effective solutions is capturing it with a simple recording tool. To better record audios as well as videos, such as streaming music, online movies, webcam videos, games, webinars, Skype calls and any other desktop activity on your computer screen, here we are listing top 5 most popular screen recorders for your kindly reference, which can be used truly for free. With built-in audio and video editor, iSpring Free Cam is totally a free but powerful screen recorder. It is capable of capturing your screen as easily as you can. By using it, you can record voices and computer sounds that come from your system, microphone as well as the mouse clicking sounds. What's more, it provides users with wide selection of audio effects and supports HD format for videos, which up to 720p or 1080p. You can record the video with high-quality resolution. As long as you want, you have choice to remove the background noise and delete fragments of video where you dislike or unwanted. Of course, when the whole recording process is finished, you are entitled to upload and share the video to YouTube directly. What is most special is that though it is absolutely free of charge, there is no watermark placed on captured video. Ezvid is well designed to help users to record desktop or screen ongoing activities, which caters to both gamers and music fans that have interest in making video clips with the fastest speed and easiest operation. It enables you to record a specific area of screen. However, if you want to capture screen video in full screen, you can do nothing but to give up because this recorder is developed without this kind of function. In addition, it supports speed control over output videos and can auto-save video during recording. 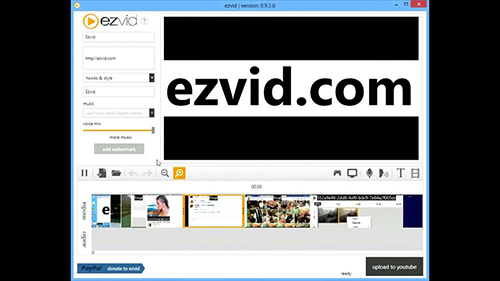 What makes Ezvid special is that there is a platform offered to let you create slideshows with recording. Besides, the destination video that can be captured with not only audio recording but also voice synthesis can be uploaded to YouTube automatically. 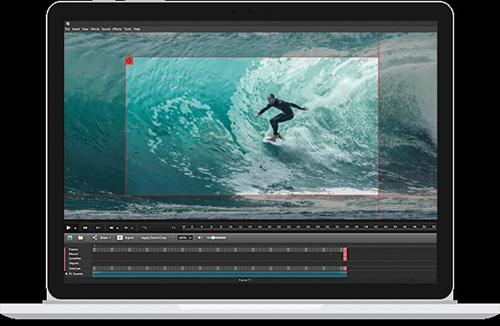 With intuitive interface, FlashBack Express is an outstanding capture that includes diverse features to better find an ideal fit for users' specific needs. Similar to some free screen recorders, it can produce video with no watermark, which can satisfy users well. Apart from it, there is no limitation on the length of recording. By setting up a specific date and time ahead of time, it is available for you to create a scheduled recording task. It is supportable to capture in full screen, a window, a webcam or even a selected area. 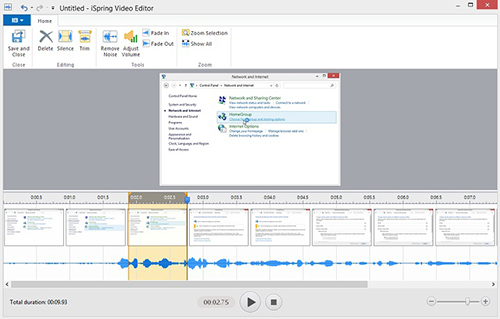 FlashBack Express can work as a video editor with advanced built-in editing technology so that you can trim and chop the recording on the basis of your own need. It will be saved with WMV format and upload to YouTube, FTP server or your PC. Equipped with a special function, it can be set up to begin a capturing once there is a designated app run. More powerful as FlashBack Express is, it can permit multi-screen recording, which puts it on the top list and appreciated by plenty of people. TinyTake is a safe and free tool that is widely used to record screen activities. 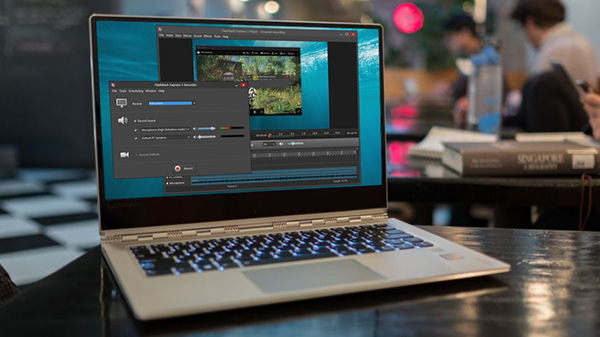 With built-in viewer, you have right to preview your captured video and then export it to YouTube, your own hard drive, and even the supported 2GB cloud storage space. TinyTake is upgraded and optimized for mobile devices so that you can enjoy recording on your own phone. What needs to be mentioned is that it is well developed to grab desktop footage as well as webcam, but there is a five minutes restriction of footage at a time, which may let you down. In addition, it is not suitable for games, meaning you cannot record in-game action. For commercial uses, some excellent function, like adding graphics for annotating recording, cannot be performed for free. Lacking of editing feature, TinyTake have to be improved if it want to draw more attention from users. 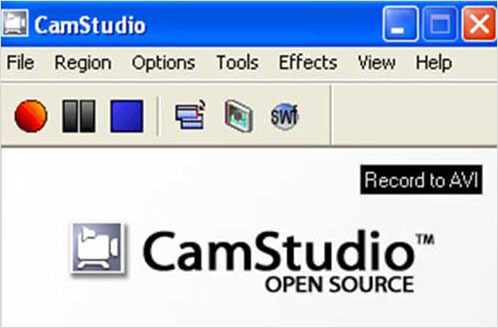 Regarded as open source, CamStudio is a good choice for new beginner to have a try, which allows you to record screen activity with audio on your PC. It is available to create a screen-to-screen video and make you reduce or increase the area and size of capturing. One pleasing function is that CamStudio can result video with a smaller size owing to its own lossless codec and can keep great quality by setting quality option. 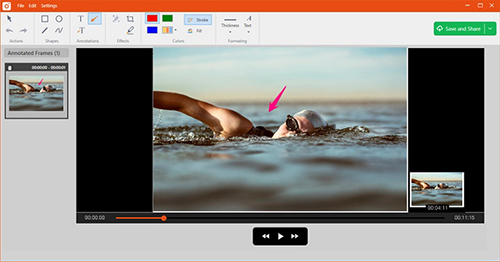 What's more, it enables you to make a video with personalized style by annotating capturing. The recorded video can be outputted with AVI format, which will be converted SWF later. According to what users' experience, SWF files may slow down the operating speed of your computer. Though it is not perfect, its compactness hits some users' preference. Looking for More Powerful Screen Recorder at Low Budget? Hope you are interested in one of the above 5 top-ranked free screen capturing tools. If not, you are suggested to turn to some paid screen recording tools with more professional functions, such as Joyoshare Screen Recorder. As a professional video recorder as well as an independent audio capturer, it is a full-featured screen capturing tool designed to record any screen activity on your PC. With multiple supported output format and devices, you can feel free to record any video and audio, for instance, live chat, Skype call, streaming movie, online radio, music game, etc. Meanwhile, you are entitled to customize your recording with different options, which allow you to take screenshots at any time, create a scheduled task in advance, choose wanted format, edit ID3 tag, revise file name and so on. Anyway, Joyoshare Screen Recorder is proved one of the most advanced all-in-one video capture that adopted top-leading screen recording technology. If you would like to use it, there is a free version provided with you.